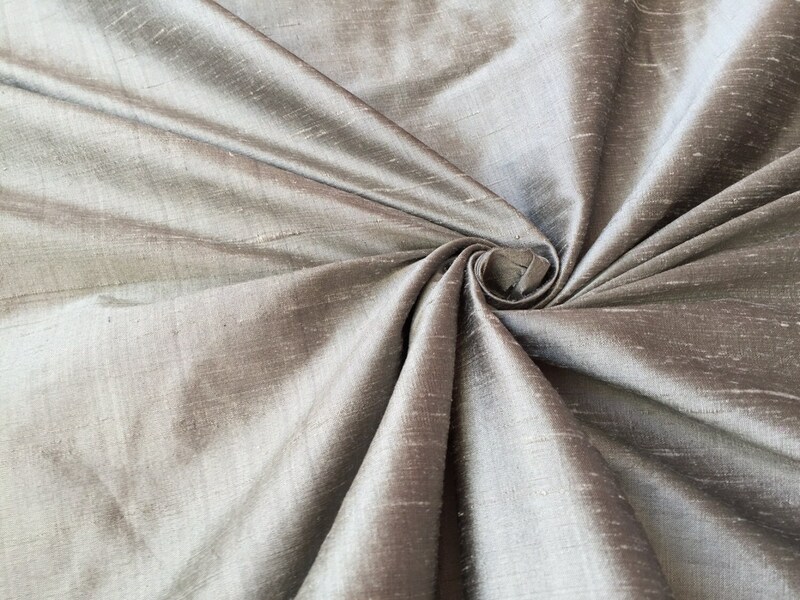 Silver dupioni silk fabric. Brand New High-End Dupioni Silk Fabric Yardage. 55 inches wide. Darker than silver is our pewter dupioni silk and even darker is our gray dupioni silk. Best selling color now in new 55 inches wide for 2017!